DC fans operate using direct current electricity and provide flow in a single direction for cooling electronics, automation equipment and other devices. They play a critical role in preventing overheating that can damage automated components, leading to equipment malfunction and costly repairs. To provide cooling, DC fans use airflow to move heat away from a concentrated heat source. The heat is then replaced with cool air to help maintain a stable temperature. By reducing heat, DC fans also reduce the power consumption of robotics and other automated components to reduce wear and increase longevity. Yet another benefit of DC fans is that they operate on a lower voltage and generate less noise than AC fans, making them ideal for applications where excessive noise is a concern. Our DC fans are easily integrated into robotics and other automated equipment to control temperature and humidity. The combination of a micro design and high torque motor saves space without sacrificing effectiveness and reliability, making them an excellent choice for any automation application. 50mm DC fans from Y.S. Tech USA are manufactured from UL 94V-0 P.B.T. plastic material and feature 2-ball bearings, Sintetico bearings or sleeve bearings, depending on the model selected. DC fans in this size category include models that operate at speeds up to 5600 RPM and provide airflow up to 17.1 CFM to meet different cooling requirements. Request a quote for your high-performance DC fan today or contact us to learn customization options. If a DC fan isn’t the right fit for your automation application, we also offer a variety of DC blower fans that provide the same level of reliability and performance. Y.S. 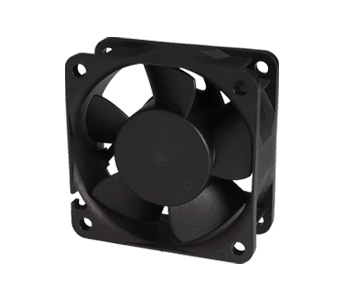 Tech USA provides DC fans in numerous standard sizes and can manufacture custom fans upon request. 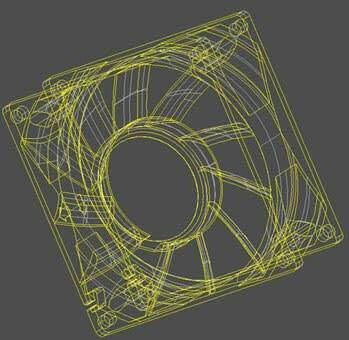 Find the DC fan that meets your sizing requirements or contact us to discuss your unique cooling applications.